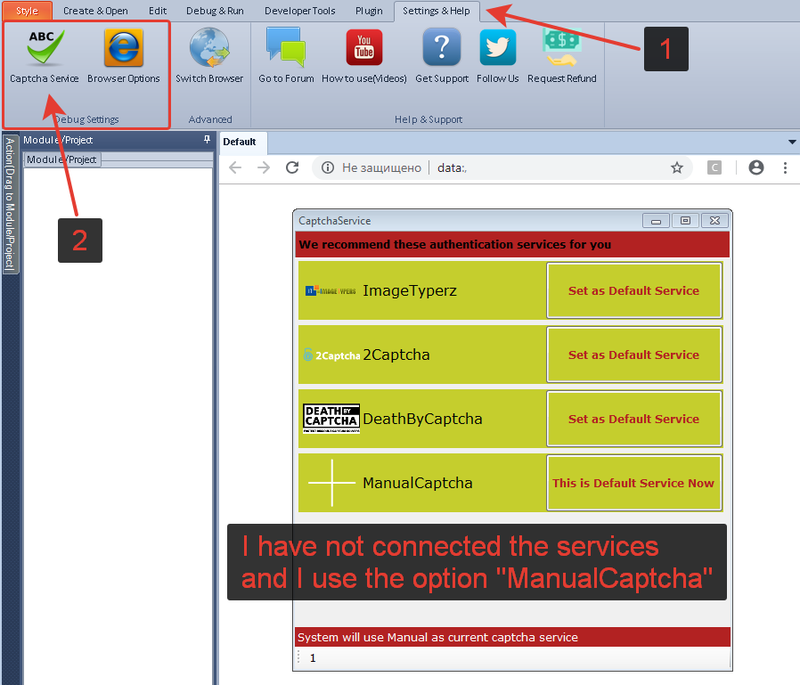 Is it possible to post a tutorial to solve a Captcha using google chrome ? I would be happy to help. I started to make an example of a module for you, but I ran into a problem. When I work with any elements on the page, I get the same message every time. Perhaps this is due to my version of the browser. I would appreciate any example of working with the Chrome browser, because I can not get it to work properly. I'm not sure, but the search function just doesn't work for me. I watched this video and did everything as it was there, but it still doesn’t work for me. I made a small demo for you. Watch it. If your search for an item gives an error (like an error in my case) try disabling the Enable filter conditions checkbox. The problem is in it. 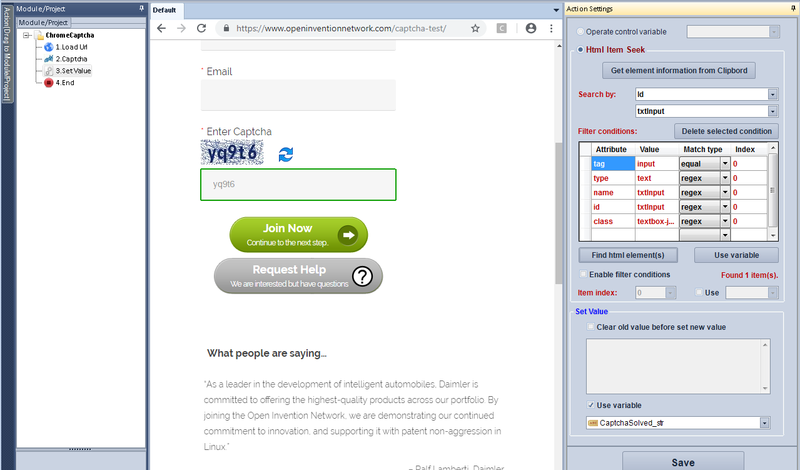 Got it now thanks :) but we need to input manually the captcha ?? Is there any way to fill it automatically ?